Director Jeff Nichols is about to release the civil rights drama Loving, but he revealed his next project will approach racism from a far more sci-fi angle. 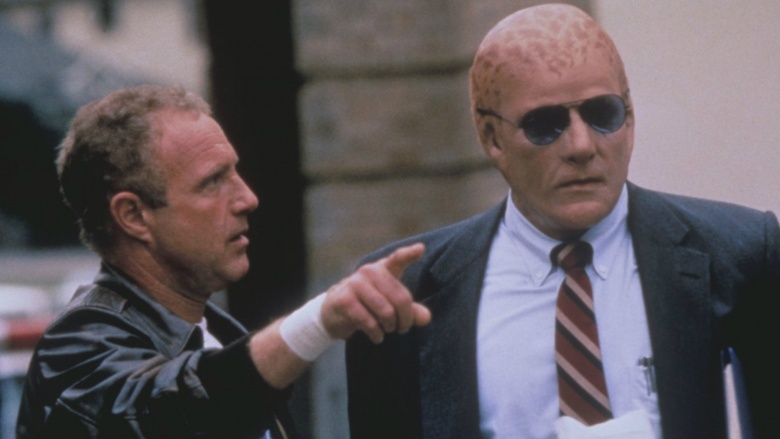 Deadline reports Nichols signed on to remake 1988's Alien Nation, a cult classic about a racist L.A. cop and his partner–a member of an alien race that recently crashed on Earth. The original starred James Caan as the human and Mandy Patinkin as the alien. Although just a moderate success (Roger Ebert called it an "assembly-line cop picture"), the movie spawned a short-lived TV series in 1989. Since then, the Alien Nation franchise has grown to include novels, comic books, and five TV movies. Nichols will also write the update, and he's no stranger to sci-fi. He wrote and directed 2016's Midnight Special, about a father and son on the run after the boy's special powers are discovered. Last year, THR reported that Iron Man writers Art Marcum and Matt Holloway had been hired to write an Alien Nation remake. It's not yet clear if they're involved with Nichols' rewrite. Although there's also no word on casting, Deadline points out that Nichols frequently collaborates with Midnight Special star Michael Shannon.